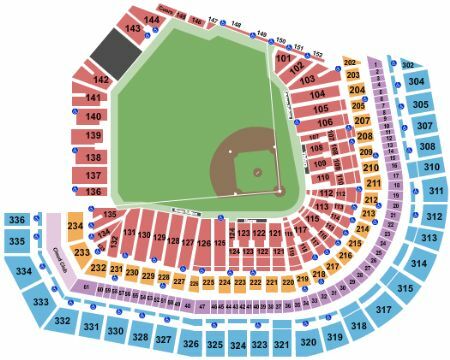 San Francisco Giants vs. San Diego Padres Tickets - 8/31/2019 - Oracle Park in San Francisco at Stub.com! Does not include admission to event. Tickets will be ready for delivery by Aug 27, 2019. Mobile Entry Tickets. Must have smart device on hand to enter event. Do not print these tickets. Tickets will be ready for delivery by Aug 29, 2019. These seats are on the aisle with purchase of the entire group. Tickets will be ready for delivery by Aug 29, 2019. Parking Pass Only. Mobile Entry Tickets. Must have smart device on hand to enter event. Do not print these tickets. Tickets will be ready for delivery by Jul 15, 2019. First row in this section. Tickets will be ready for delivery by Aug 29, 2019. Second row in this section. Tickets will be ready for delivery by Aug 29, 2019. Mobile Entry Tickets. Must have smart device on hand to enter event. Do not print these tickets. Tickets will be ready for delivery by Aug 25, 2019. Third row in this section. Tickets will be ready for delivery by Aug 29, 2019. Second row in this section. VIP Area/Club/Lounge access included. XFER Mobile Entry. Scan your tickets from your mobile phone for this event. Do not print these tickets. Mobile Entry Tickets. Must have smart device on hand to enter event. Do not print these tickets. Includes club access. Tickets will be ready for delivery by Jul 15, 2019. Mobile Entry Tickets. Must have smart device on hand to enter event. Do not print these tickets. First row in this section. Tickets will be ready for delivery by Jul 15, 2019. If more than four (4) tickets are purchased from this group your tickets may be adjacent to each other in two consecutive rows. Tickets will be ready for delivery by Aug 29, 2019. Mobile Entry Tickets. Must have smart device on hand to enter event. Do not print these tickets. First row in this section.